Police in Argentina have arrested a 19-year-old man accused of heading a gang of hackers who targeted international money transfer and gambling websites. 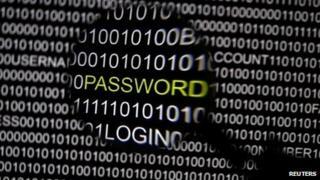 Dubbed "the superhacker", the teenager was making $50,000 (£31,500) a month, working from his bedroom in Buenos Aires, police say. The arrest operation shut down the power to the entire neighbourhood to prevent the deletion of sensitive data. Police say it took them a year to close in on the teenager. The young man lived with his father, a computer expert, in Buenos Aires. In the teenager's room, officials found high-capacity computers. The hackers allegedly used malware attacks to build up a network of thousands of zombie computers, which were then used to illegally divert money from accounts leaving virtually no trace behind. The police operation included five raids in the capital and the city of Rosario, about 300km (190 miles) north. The young man is being accused of three crimes, and if convicted of all, could be sentenced to more than 10 years in prison.